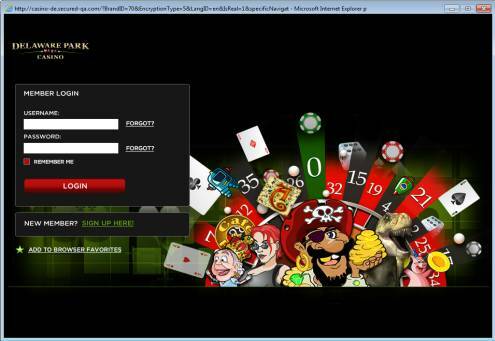 To start playing Delaware Park Casino, simply click here. 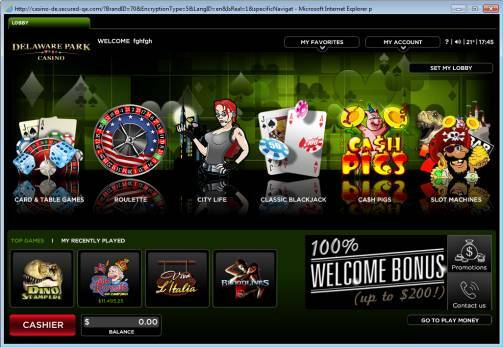 In addition, our casino requires Adobe Flash Player browser plug-in (10 and above) installed. Should your computer be incompatible with this requirement, you will be prompted to download and install the required Adobe Flash Player plug-in. 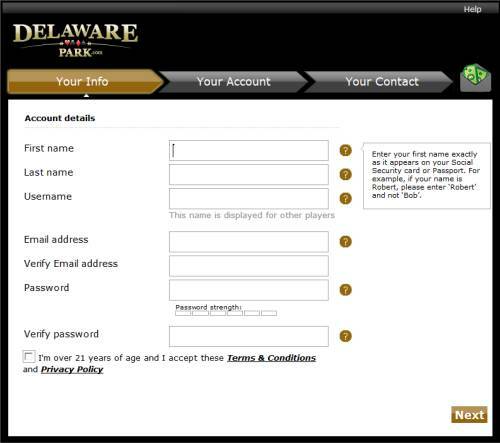 If you do not have an Delaware Park Casino account, please press the “Sign Up Here” link on the login page. Please fill in your details and accept all Terms and Conditions. 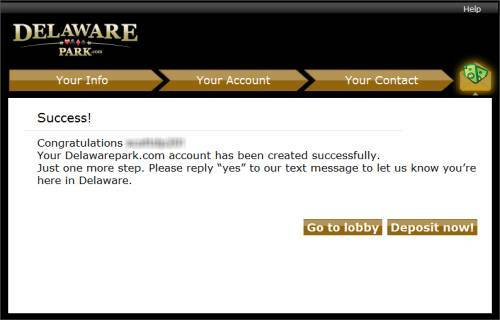 After registering, you will receive an automatic email from Delaware Park Casino. Please click the link in the email to activate your account. 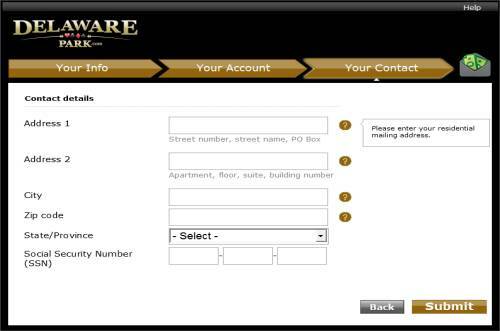 Once you log in to Delaware Park Casino you’ll be taken to the casino’s lobby. 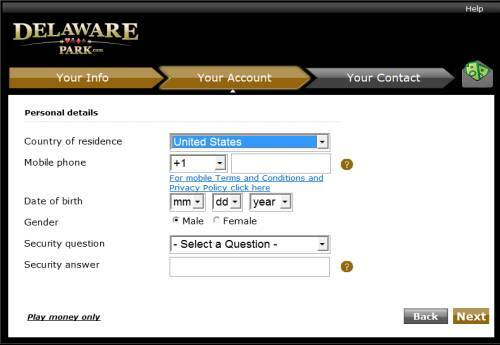 Click on the “Cashier” button to make a deposit in your new Delaware Park Casino account. Once you’ve deposited, select any of Delaware Park Casino's exciting games and let the good times roll! Note: In order to verify you are located within Delaware, you will be required to install a browser plugin prior to playing. In order to log out, please use the “Log Out” button under the My Account menu. Don’t forget to add a desktop shortcut for quick access to Delaware Park Casino in the future.